Ravensbrück concentration camp was built on a plain about 50 miles north of Berlin, in a wooded area near a lake. The largest concentration camp for women on German soil, Ravensbrück was a source of wartime slave labor for Siemens, and the site of some particularly cruel Nazi medical experiments. About 150,000 people, from over 30 countries, were registered as having passed through the camp. Tens of thousands perished within. Angel of Oblivion’s first word, and the most prominent character of its early chapters, is “Grandmother.” The narrator’s grandmother is tough; spirited; opinionated. Her forehead is “as wrinkled as the shingled roof of the grain silo,” and her force of will provides the centripetal force that keeps the family’s farm from chaos. She cooks with authority, tossing around pork schmaltz and scraping mold off of preserves, and “even the eggs smell like earth, smoke and yeasty air.” She believes in God and ghosts equally. Her dishes “can connect the here and now with the hereafter, heal visible and invisible wounds, [but] they can make you ill.” If she suspects a chicken is not laying, she “pounces” on it and jams two fingers in its behind. Grandmother may be the only family member who bothers to pay attention to her granddaughter, our narrator, and the girl follows her around as if Grandmother is a “queen bee” and her granddaughter “her drone.” Grandmother lets her have barley coffee, their little secret. Sometimes they dance together. Grandmother is a survivor of Ravensbrück, and dance, we are told, is one of her survival skills. She leaves food out for the dead, so they will leave her alone. Grandmother is the family’s keeper of artifacts. She has saved her late husband’s Deutsches Reich Employment Record Book, inside which are recorded the dates of important family events, such as when they acquired the farm. She still has her diary from Ravensbrück, as well as her too-thin winter coat from the camp, which she keeps but does not wear. In her room she has squirreled away extra provisions, just in case. It was this guard, Grandmother says, laying her index finger on the woman’s face, which disappeared beneath it. She was very young and very evil, very depraved. Good Lord, what people won’t do, Grandmother exclaims and spits on the photograph. Then she wipes the pages with her sleeve so they won’t stick together. She believes that, because of these books, no one will be able to accuse her of making up stories anymore. No one can call me a liar anymore, she says. The day our provisions ran out and the commando came, it was up and out, down the mountain, through the German soldiers, over, out, Father recalled. That was some kind of noise. At two in the morning they slid down the mountainside in deep snow, down a chute that was used to send tree trunks into the valley below. The Germans trained searchlights up from Kamnik. It was so bright, every movement was visible. There was shooting in the valley, and all you could see were red and blue streaks. Leaves and branches rained down from the trees and one partisan was lying on the ground yelling help me, help me, Father tells us, but he just ran as if the devil were on his heels…Because in war it’s like being hares in a hunt, only much worse, Father says. In our narrator’s present day, the war is years in the past, and yet Father is still running for his life: drinking too much cider, crashing his motorcycle, lying down in the snow and refusing to move. He allows his daughter to accompany him into the forest, where he shares with her the celebratory rituals of hunting and shows her how to cross the border illegally from Austria into Slovenia. The forest was his refuge, but its silence always threatens to get the upper hand. The best thing to do when you are afraid in the forest, Father instructs her, is to sing partisan fighting songs. Like Grandmother, Father is ambivalent about having survived the war. Our narrator’s childhood is punctuated with Father’s drunken threats to kill himself, to go out to the apiary with his rifle and end it all, perhaps taking with him any family members who try to stop him. They wait until he passes out, then pry his fingers from the gun. As I listen, something collapses in my chest, as if a stack of logs were rolling away behind me, into the time before my time, and that time reaches out to grab me and I start to give in out of fascination and fear. It’s got hold of me, I think, now it’s here with me. Angel of Oblivion is, among other things, a book about the power of stories and storytelling. One aspect of this is its exploration of how stories shape personal identity. We witness this with our narrator, who has been hearing stories about the war, from Grandmother and others, all of her childhood, and by adolescence has come to resent their omnipresence in her life. She harbors conflicting impulses: on one hand, she wants to collect and preserve all the stories, conscious of their importance to her family and their broader community. But she also seeks to distance herself from the past, to be free of the ghosts that haunt Grandmother and Father. She goes to Vienna to get an education and begin a career, but she returns. “The hills of my home region have turned into a trap that reaches for me and snaps shut every summer,” she asserts; “The war invades my internal space.” Later, she reads Grandmother’s diary and is “afraid of being overrun by the past, of being crushed by its weight.” In the end she makes a conscious decision to write about her family’s stories, allowing them to become part of her even if it means that they will change her. When Grandmother was alive, Mother was almost never able to talk about herself. She sat next to those telling stories from the past and was never asked for her own. Her family’s stories were considered insignificant, nothing very bad happened to her mother during the war, it was said, of course she’d had to raise her children alone as a day laborer, but that was nothing unusual. In the Slovenian convent school where Mother completed a one-year home economics course, they drummed into her head that she must only read chaste, pious books and never pick up the works of depraved writers. The memories of the residents of these valleys begin to revolt, they rise up and take over. After the end of Nazism, they still knew their stories, they told each other what they had lived through, they could recognize themselves in another’s suffering. But then the fear sets in that they’d be excluded because of their stories and seen as alien in a country that wanted to hear other stories and dismissed theirs as unimportant. They know their history is not mentioned in Austrian history books, certainly not in Carinthian history books in which the region’s history begins with the end of the First World War, is interrupted and taken up again at the end of the Second World War. Those with stories to tell know this and they have learned to stay quiet. 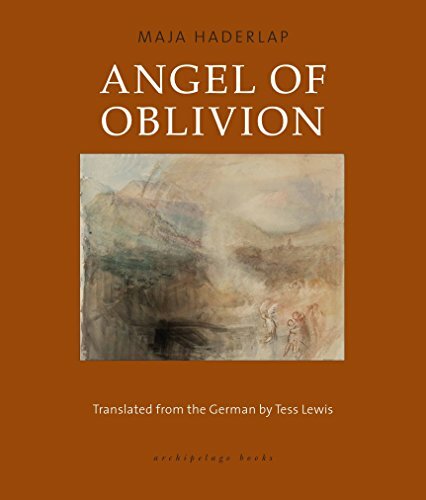 Along with everything else she accomplishes with this powerful work — a work of historical witness, a Sebaldian descent into the depths of memory, and a brave and innovative hybrid of fiction and memoir — Haderlap (and her English translator) deserve praise for breaking the silence to bring the stories of Slovenian-speaking Austrians to a much broader audience. Brendan Driscoll 's book reviews have appeared in Booklist, the National Book Critics' Circle's "Critical Mass" blog, and elsewhere. He is currently writing a novel about male friendship, parenting and the horrors of immigration law. Originally from western New York State, he now lives in Colorado. Can art light up anything? If we’re in the worst of times, can things only get better? The only thing harder than writing a fully realized short story is turning a collection of them into a fully realized novel. Tim O’Brien pulled it off in The Things They Carried. So did Elizabeth Strout in Olive Kittredge. More often, though, the novel-in-stories conceit seems more a marketing gimmick to get around admitting the book is simply a collection of stories organized around a theme or a group of characters. At best, you get Jennifer Egan’s A Visit from the Goon Squad, in which the sum of the (often brilliant) parts add up to more than the (somewhat nebulous) whole. At worst, you get a novel full of holes. Dylan Landis’s new novel-in-stories Rainey Royal starts off with a brace of taut, aching stories about a troubled young girl in 1970s New York City raising herself in a world of crazy adults. These early stories are set in a sprawling five-story townhouse on West 10th Street in Greenwich Village ruled by Rainey’s jazz-musician father, Howard Royal, and his creepy sidekick, Gordy Vine, who likes to come into Rainey’s bedroom and stroke her hair while she pretends to sleep. Rainey is 14 and gorgeous, and her mother has departed for an ashram in Colorado, never to return. Readers of Landis’s first story collection, Normal People Don’t Live Like This, will remember Rainey as the queen-bee mean girl who makes school life miserable for Leah Levinson, the insecure, obsessive-compulsive girl who is the focus of many of the stories in that book. Rainey’s riveting mix of cruelty and neediness stole the show every time she appeared in Normal People, so it makes sense that when Landis returned to the world of that earlier book, she would turn the spotlight on Rainey. The Rainey we meet in this volume’s first story, “Let Her Come Dancing All Afire,” remains as feisty and beautiful as she was in the earlier collection, but now she’s the victim, not the aggressor. In a few deft scenes, Landis creates a vivid fictive universe in which Rainey’s jazz-star father, surrounded by dazzled young groupies and espousing a supercilious brand of hippie-era permissiveness, allows his daughter to be molested repeatedly under his own roof. In Landis’s capable hands, every battle, every transgression is minutely observed. We are only five pages into the first story when Rainey, asked to sit down for a talk with Howard and Gordy after walking home from the library in the rain, makes her first mistake, telling her father, “I’m soaking wet.” “She regrets this immediately,” Landis writes. “Gordy’s attention, like a draft from a threshold, wafts toward her. He doesn’t even have to raise his head.” From here on, “Let Her Come Dancing All Afire” is a grim battle for territory, with Gordy, aided by Rainey’s indulgent father, waging a quiet war of attrition for access to Rainey’s body, and Rainey using every scrap of her wit and beauty to make her body her own — even as she covets the attention of the two men who are the closest thing to parents in her life. In later stories, this battle shifts to possession of the house itself, which, it turns out, belongs to Rainey’s grandmother, who has allowed Howard to hold it for Rainey in trust until she turns 25. There are the makings of an explosive novel here, but Landis, having set the bomb in place and struck the match, declines to light the fuse. The third story in the collection, “Trust,” turns on a wildly implausible robbery, in which Rainey and her best friend Tina take Howard’s gun and stick up a couple walking through their West Village neighborhood. The story is beautifully written, all sharp edges and jazzy rhythms, and one can see how it would work as a self-contained short story (indeed, “Trust” was first published in Tin House and won an O. Henry Award). But as a chapter in a novel, it makes no real sense. Here these two teenage girls, making only the most amateurish attempts to disguise themselves, rob and terrorize a couple at gunpoint in broad daylight in their own neighborhood — and nothing happens? No police investigation? No concern about their victims recognizing them on the street? No desire to pull off a similar crime? Just nothing. Landis works a few oblique references to the robbery into later stories, but for the most part, it’s as if Rainey and Tina have temporarily stepped into some parallel universe in which their actions have no repercussions on the rest of their lives. Writing this good, especially when powered by a snappy premise, can make for an electric 20-page short story. A novel, to go the distance, also needs a sustaining narrative to carry the reader through. Rainey Royal has the potential for that narrative drive in Rainey’s struggle to take back her body from the men in her life who want to own it, but as the book veers ever further away from the battle over territory in Rainey’s West 10th Avenue townhouse, the drama of the opening stories gradually dissipates until the novel begins to seem more marked by its elisions than by what is on the page. The characters in 'Homesick for Another World' violate and are violated in turn; they are sick in every sense, and sick of this world. Order of the Day is a stark examination of the price of silence and the cost of sticking to the rules to keep the peace. It seems likely to me that a few readers will not get past the introduction of Pete Dexter’s new book, a collection of newspaper columns and magazine articles called Paper Trails. In it he lets us know that he had little interest in collecting his columns in the first place. He tells us that the 82 columns and articles we are about to read will lack dates and any indication as to where they first appeared because, basically, he and his editor Rob Fleder didn’t want to dig them up. He also calls the venerable Washington Post book critic Jonathan Yardley a “worn-out old whore.”The people who don’t appreciate any of this, of course, are probably the same people who wrote to him over the years outraged by the way he treated his wife. For those who get Dexter, however, all of this is brilliant. Dexter is adamantly self-deprecating and willing to step on plenty of toes. He also used thousands of column inches to mercilessly tease his wife, as any reader of this collection will quickly discover. Naturally, to those with a sense of humor, it’s clear that Mrs. Dexter is just the foil for his antics.Though Dexter the newspaperman often comes off as brash and insensitive, compassion is Dexter’s most irrepressible quality in this collection of columns. Written primarily for newspapers in Philadelphia and Sacramento, Dexter’s columns evince a keen eye for people wronged by the system, and in them he slays corrupt cops, sleazy lawyers, and crooked politicians deftly with his pen. However, and this was a surprise to me, he also devotes plenty of ink to animals, his cats and dogs mostly, but there was also his memorable encounter with a peahen.Columns like these, 1000-word missives shot out of a cannon, are not seen much these days. Nowadays, local newspaper columnists aren’t the advocates they once were, instead getting caught up commenting on whatever was featured on CNN that day or hammering on petty controversies. It seems less likely that Dexter fell prey to those temptations during his newspaper career, and these 82 columns, stripped of their context and years or decades old, are no less affecting for it. It is a book that will make you laugh and cry nearly 82 times over.The central thread running through the collection, of course, is Dexter himself, sometimes the comic hero, other times carrying the weight of human depravity – the murders, the missing bodies, the broken families, and the drunks – on his shoulders. The urban decay of the 1970s, in Philadelphia and elsewhere, is the backdrop to this book. He wrote about the violent city, and violence would help end his newspaper career when he was beaten nearly to death by a mob in South Philly in 1981. As Pete Hamill explains in the forward to Paper Trails, Dexter had gone that day to make peace with brother of a man who had died in a drug deal and who Dexter had written about, but the man turned on him. Dexter would move on and wrote novels and screenplays – and this collection includes some of Dexter’s writing from that era, too – but even if Dexter hadn’t achieved his late career success, one suspects he would not have been bitter about it.Bonus Links: My review of Paris Trout; My review of Train; My review of Brotherly Love; The day I met Dexter. In its own, understated, comic way, The Unspeakable is a very ambitious book, one that attempts to chart a personal evolution, while at the same time acknowledging that the idea of personal growth is at best absurd.